Here is the quick list of the top three dating sites in Spain. I’ll go into more detail in my reviews later in this article. In contrast to Portugal’s online dating scene, Spain has a wide variety of online dating sites from which to choose. This is a double-edged sword however because the increased choice can make it difficult to determine the best online dating sites in Spain. There are a lot of sites out there that promise the world but do not deliver. 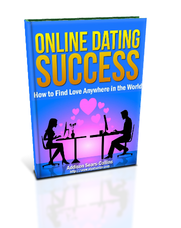 My job in this post is to explain which online dating sites you need to focus on. Without further ado, here are my detailed reviews of the top three dating sites in Spain. Founded in 2001 and based in Boulogne-Billancourt, France, Meetic.es is the best online dating site in Spain. Meetic.es is the Spanish version of Meetic.com. The site resembles DatingDirect and Match, so if you have used those sites in the past, you will be familiar with the format. You will need a premium membership in order to get the most out of this site. So, if you are in Spain and willing to pay, then this is the site for you. The sign-up process is similar to other dating sites. You will need to provide your name, email address, and your birthday. From there, simply fill out what your perfect match would be and a little bit about yourself so that others can find you. It is important to upload a good image of yourself. Studies have shown that profiles with images receive more attention than those without an image. Don’t forget to add a tagline to make yourself stand out in the sea of people. What you say can be anything from a joke to catch someone’s attention, to a catch phrase. All in all the process for signing up only took me about 10 minutes. If you want to generate a quiz for people to take, you can on this site. Quizzes are a fun way to get people interested in your profile and break the ice for communicating with other members. There are two ways that you can browse different profiles. You can opt for a basic search where you can narrow down the profiles to a specific category like when their birthday is, reverse matches, or mutual matches. The mutual or reverse match feature are simple ways for the system to sort through the different profiles to find who you are most likely compatible with. The advanced search narrows the possibilities down even further by allowing you to search for someone specific. If you go for tall women, you can search for that trait. Or if you like you’re her to be a non-smoker, you can find that too. The searches are basic, but help in the hunt for that someone who will best complement you. There is also a unique feature that lets you flaunt your imperfections. The #LoveYourImperfections tag lets you find someone who is flawed, maybe a huge Star Wars fan or a comic book fiend. These little imperfections are what someone may find charming and cute, so don’t underestimate this option during your sign-up process. No matter how you search for someone, you can save the results and sort through them at a different time. If sorting through all the different profiles becomes too much, there is always the Shuffle option that randomly picks out profiles for you based on your criteria. From there, you can either “like” or “dislike” a profile and move through the list. You will be sent a message when there is a possible match when you “like” a profile, which speeds up the process a little. Once you found someone that tickles your fancy, you can send a flirt/wink, which on this site is known as a “Flash.” However, if you have not upgraded your account to premium, there isn’t much you can do but “Flash” someone. While the site is pretty basic, the #LoveYourImperfections is a pretty nifty way to meet someone new. Who knows, what you find imperfect, may, in fact, be the quality trait another person is looking for. There are a lot of people on the site, so take your time and get to know someone through IM before meeting up. EDarling.es is perfect for people between the ages of 30 and 40. The average member of EDarling.es is in their late 30s. eDarling site has a professional look and a clean design. While you can do a few things for free, you’ll get the most out of the eDarling site if you sign up for a premium membership. Signing up for the site is as easy as can be. Once you choose your gender and the gender you’re looking for, you can create a password and sign up with your email address. All eDarling users must take the personality test, but you can complete the test in around 40 minutes or less. The 200 questions cover topics like what you want in a mate, what you value most out of life, and the things you love the most. You can then create your profile, add a picture of yourself, and start searching for a partner. Unlike other similar sites that require you to search for people, eDarling does all the hard work for you. The site uses its own algorithms to determine how you compare to others registered on the site. As a free member, you’ll have the chance to see who matches with you, but the site will prevent you from seeing their photographs. As a paid member, you can view complete profiles, and eDarling will provide you with the profiles of up to seven people who match you every single day. Paid members have the option of connecting with others via text messages, but free members have fewer options. As a free user, you can only give others a small smile or send them a simple question. The responses that you get back help you determine which users you’d like to know more about. The most unique aspect of eDarling is its professional personality test. This simple test looks at nearly 30 different features of you and then compares your results with other members to find the best matches. Parship.es has been around for several years now. This site first launched in 2001 and went international in 2002. Parship is available not only in Spain, but also in Italy, Sweden, England, France, Holland and even Mexico. The dating system requires a personality test. The test is well thought out and asks a lot of questions for you to answer to match you with the best possible members. Parship is for those who are serious about finding someone, so if you live in Spain, sign up for this site. Although it will take a lot of time to get through the signup process and testing, it is worth it. The startup process is basic. Simply fill out your name, gender, email address, and then create a password. The next part is the test. This will take you 20-60 minutes to complete. Be honest with your answer and take your time. Most of the questions are multiple choice. However, there are a few questions that ask about your personal taste between two images. The test is lengthy to weed out those who are not interested in a serious relationship and give up mid-way through the test. Once you are finished with the test, you will notice your profile is only 35% complete. Don’t get discouraged, this dating site is set up to help you find the best possible match and will be well worth the effort to complete your entire profile. While most dating sites have a very basic browsing feature, Parship system isn’t as straightforward when it comes to browsing for potential matches. The test you completed is now being compared to other likeminded individuals and shows how well the two of you would get along. This is based on the score you will see next to their profile. While you are browsing through the different profiles, you may notice that some of the images are blurry and hard to see. The blurry images are because members must grant you access to their profile, or you need to sign-up for a premium membership to see profiles that have been made public. Unlike other sites that display the member’s name, with Parship, you will see the person’s occupation instead. While this can get confusing, it is best to give each profile a nickname to remember who is who. Parship is unique when it comes to communicating with members. While you do have the option of sending a match a text message, with Parship there are other ways to communicate, but you must have at least 50% of your profile filled out to do so. You can release your pictures to potential matches, send them a smile, or send them a quiz for them to answer. However, your profile will tell your potential match more than you think because of how detailed your profile is. Premium members can see their completed test which is a 40-page psychological evaluation. The test results explain the type of person you are down to how well you communicate, to how well you participate in a relationship, which is well worth the read.